Easter is around the corner and besides eating chocolate, it is also a great time for the families to enjoy delicious Easter Recipes! 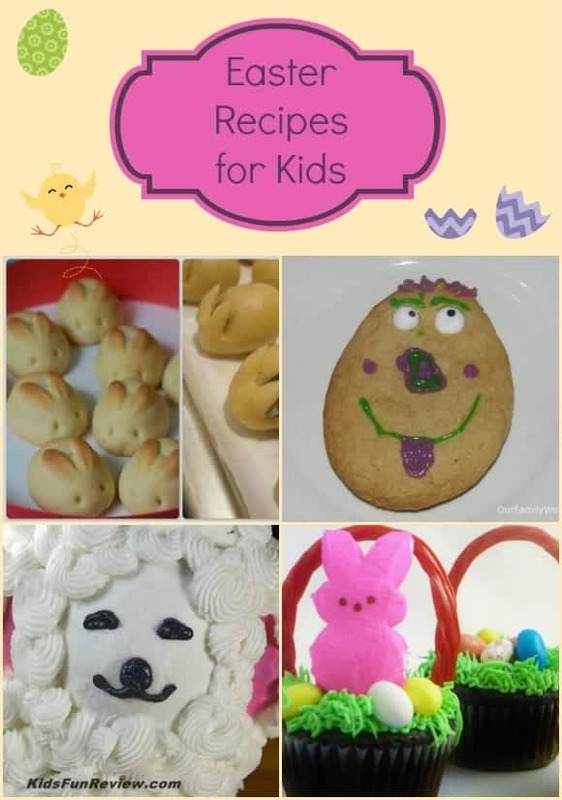 I have been pinning delicious Easter Recipes for kids as well as other related Easter activities to my Easter Pinterest Board. My only condition: recipes and crafts have to be easy to bake and prepare! I don’t want to spend tons of hours in the kitchen baking! 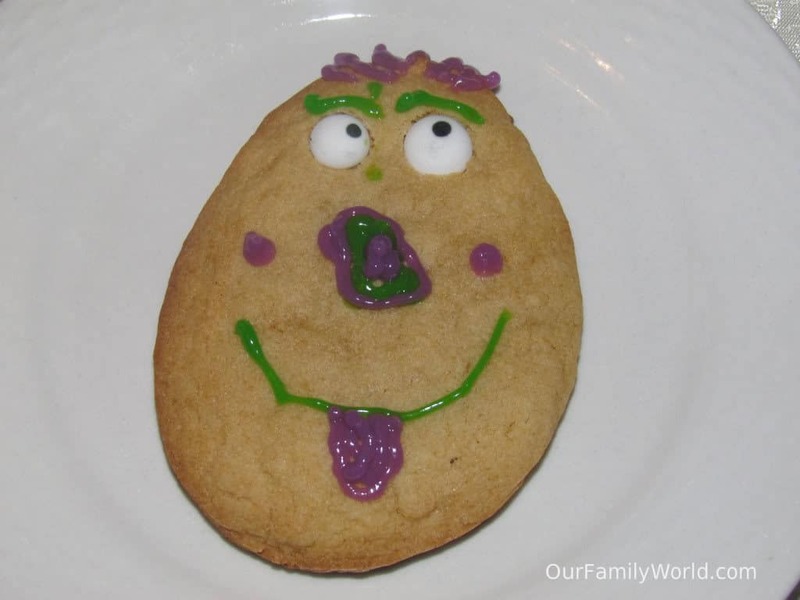 These Egg Cookies are one of the easiest Easter recipes for kids, and so much fun to make! The great thing about them is that you can totally customize them any way you want. While we’ve included a delicious cookie recipe, you’re free to use your own recipe of course. The key is to let kids get creative with their funny egg faces! 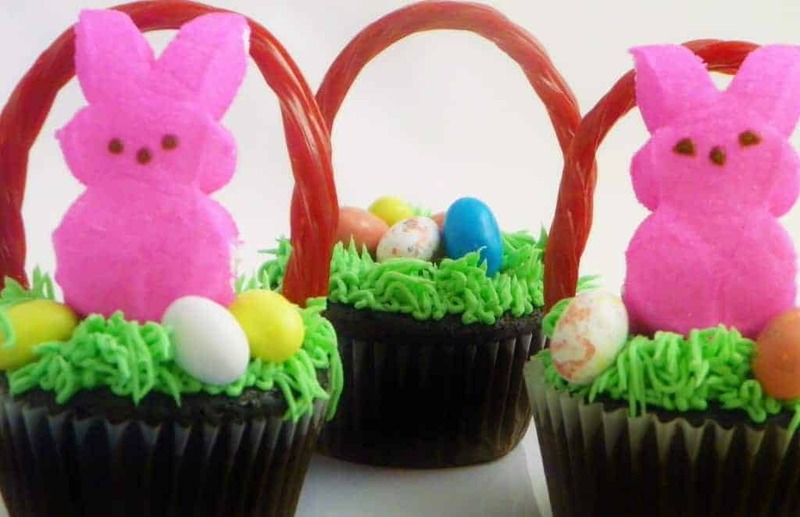 Peeps are pretty much an Easter staple, and these cute Easter Basket Cupcakes make them the star. Other candy favorites complete the basket look. I just love how easy this recipe is to prepare. If you’re not a baker, you can easily use boxed cake as recommended. Of course, if you have your own amazing cupcake recipe, you can use that as well! 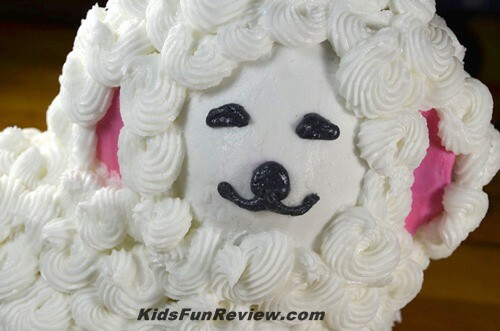 Isn’t this Lamb Cake just about the cutest Easter cake you’ve ever seen? It is surprinsly easy to make as long as you have the right pan and basic decorating tools. This would be a beautiful centerpiece for your Easter dinner, then the perfect dessert afterward! I don’t know about you, but to me a meal isn’t complete without some warm, delicious rolls! Since it’s Easter, why not make these adorable bunny-shaped buns to compliment your amazing Easter recipes for kids? Just a few snips is all it takes! What of these Easter recipes for kids is your favorite one? Tell us in the comment section! If you have any other easy Easter recipes for kids, we would love to learn about it. Such great ideas fro Easter. I’m loving the bunny rolls, must make these, the lamb cake is so cute. Those Easter basket cupcakes are so cute and the egg cookies, fun. Thanks for sharing! Love the rolls done up like bunnies, I am going to have to try making them like that this year! I love those easter bunny cookies. They are absolutely adorable! 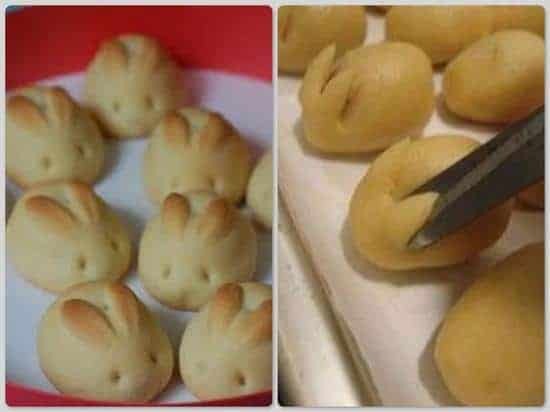 I want to try those bunny rolls to take to our family Easter gathering! Those are so cute! I love the bunny rolls! They would be perfect for Easter lunchean.